Missing Letter Mondays | We're All Mad Here! Sure, you can write a whole post without the letter “Z”. But what about the letter “I”? Or the letter “T”? Or–dare I even say it?–the letter “E”? How about every single letter of the alphabet, in turn? You can post additional text that doesn’t follow the rule, but only a brief explanatory phrase, and you must separate it from the main portion of the post with a horizontal line. If the words in your explanatory text outnumber the ones in your main post, then you’ve written too much explanation. In addition to the main banner, it would also be nice if you would post the icon for the forbidden letter of the week. Please give your post the tag Missing-Letter-Monday. Additionally, you get bonus points if you pick a topic that would normally require that letter to discuss. (For example, you get bonus points for talking about Loki when you can’t use the letter “O”, or talking about Freddie Mercury when you can’t use the letter “Q”, or Hatsune Miku when you can’t use the letter “V”.) If you feel you’ve earned bonus points, there’s a badge for that! I was looking for some fun looking blog challenges, and this one looks like a lot of fun! Count me in! 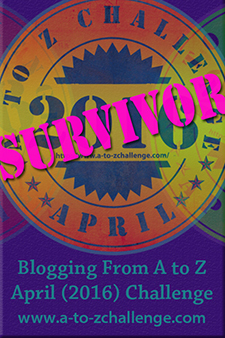 I see that you are a fellow A to Z survivor, and I am making my way through the list visiting! Your mythological A to Z looks fascinating! I hope it will, indeed, be fun! 🙂 I think most weeks I’m going to go for prose instead of poetry, though; I’d forgotten how bad I am at poetry. Pingback: Missing Letter Lundi – Le premier ! | Forty, c'est Fantastique ! Pingback: Missing Letter Monday – Constraints, constraints! | Forty, c'est Fantastique ! Pingback: Missing Graphic Symbol Monday – Fifth | Forty, c'est Fantastique ! Pingback: Missing Letter Monday – Alas… | Forty, c'est Fantastique ! 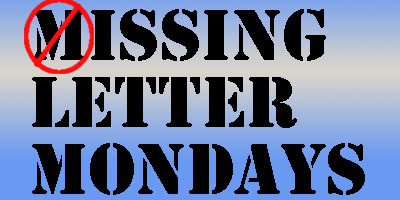 Pingback: Missing Letter Monday – No I, No J, No K, No Fear!! | Forty, c'est Fantastique ! Hi there 🙂 What a great idea. I want to join in. I am german and had some problems to translate everything, but hopefully I got it. Am I right, that next week we leave out the letter “R”? Yes, next week the idea is to leave out the letter “R”. I wrote a post last June that had no letter E. What a great challenge to try it with every letter! Ugh… I’ve done that with a couple posts. I want to put something out for my readers but I’m short on time so I just slam something together and call it a post. Is something better than nothing?